Tiger Muay Thai and MMA training camp fighters in Phuket Thailand went 5-0 with 5 Ko’s over two nights in Patong Thai Boxing fights. 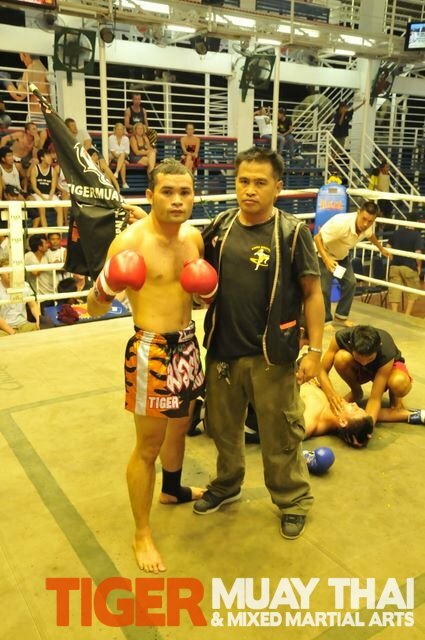 On May 4, 2010 Nazee scored a 4th round TKO extending his Thai Boxing win streak to 6 fights. Frank from Holland scored a 2nd round KO against a rival camp foreigner with more experience flooring him several times in the first round before finishing the fight in the 2nd round. On May 5, 2010 TMT fighter Cyrus washington won a 1st round KO via flying knee. Cyrus continues to improve his Muay thai skills and will be fighting in an upcoming Malaysian event. Jimmy (Scotland) scored a KO and Tiger Muay thai trainer scored his 2nd KO via elbow in the 2nd round in last two fights. 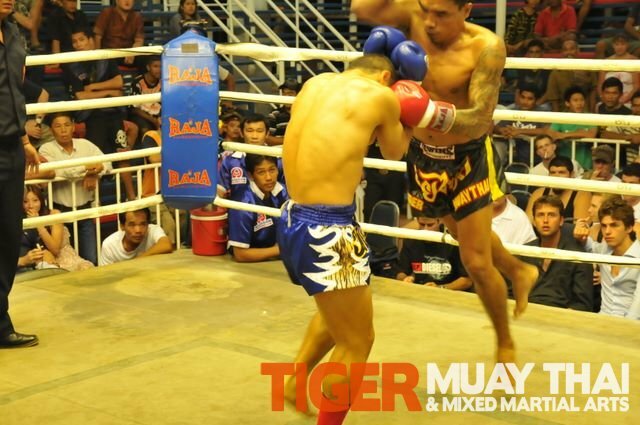 Tiger Muay Thai and MMA, Phuket, Thailand has gone an impressive 10-1 over last 11 fights. TMT has a full line-up of fights over the next month as we put more than 20 fighters in the ring.